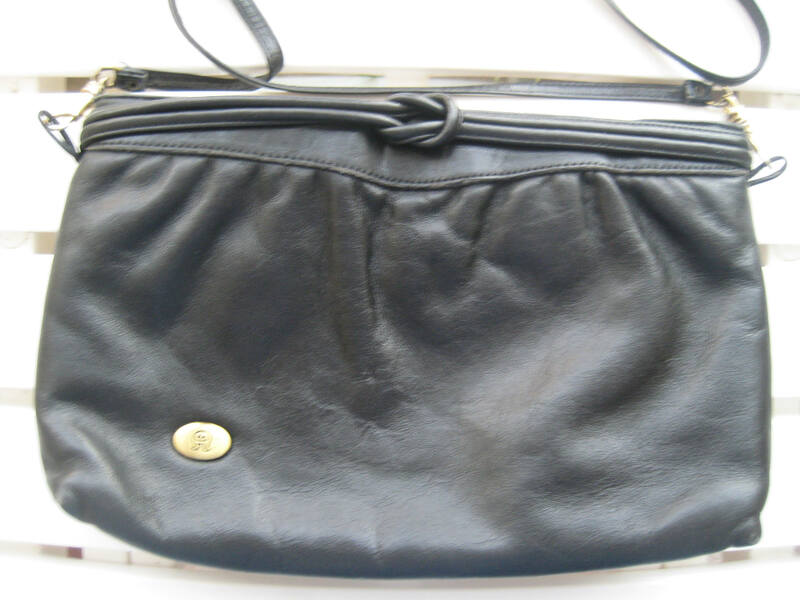 Super nice black leather handbag by Etienne Aigner. 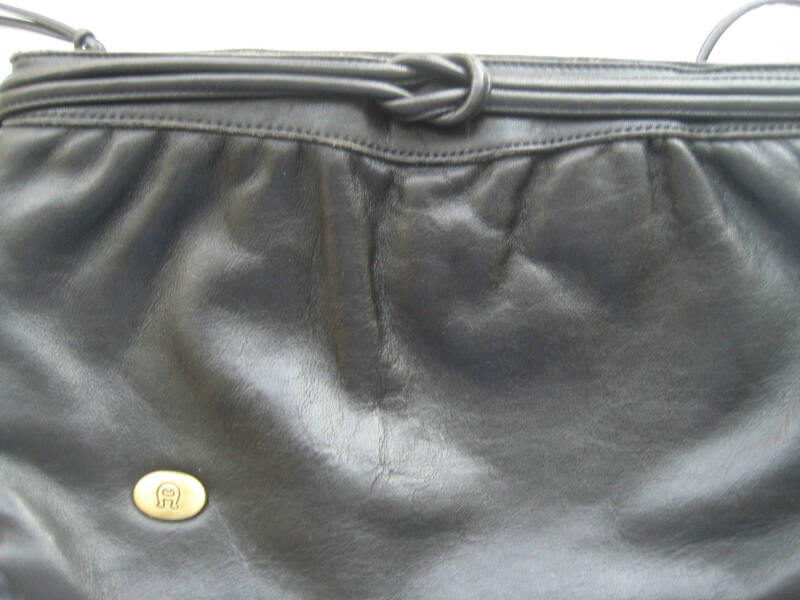 Soft leather exterior with the signature EA metal button. Matching leather love knot treatment across the top band. Slender and long matching strap that clips on both sides. Twenty four inches long but can be doubled up or removed. 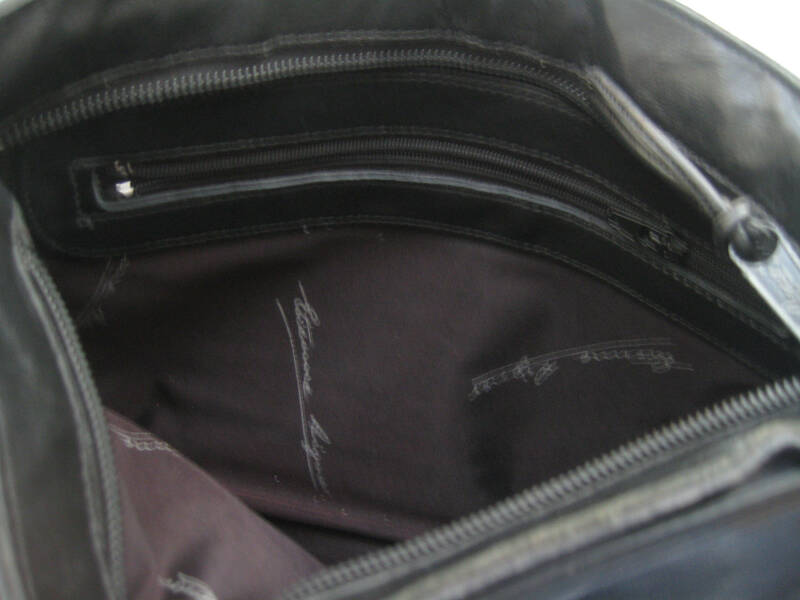 Black polyester interior with EA design. 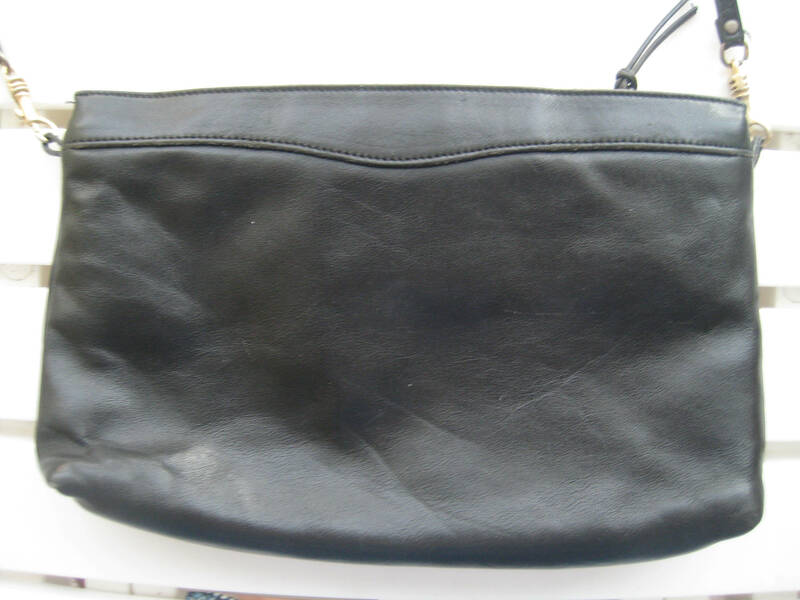 One side plastic zipper pocket. Entire bag closes with a zipper. Dimensions: 11 inches long x 8 inches tall. Roomy, lovely find!